Chenier is on his way to a Group One test after making a spectacular start to his career at Sandown. Trainer Anthony Freedman continues to produce results with the handful of Godolphin-owned gallopers in his stable. 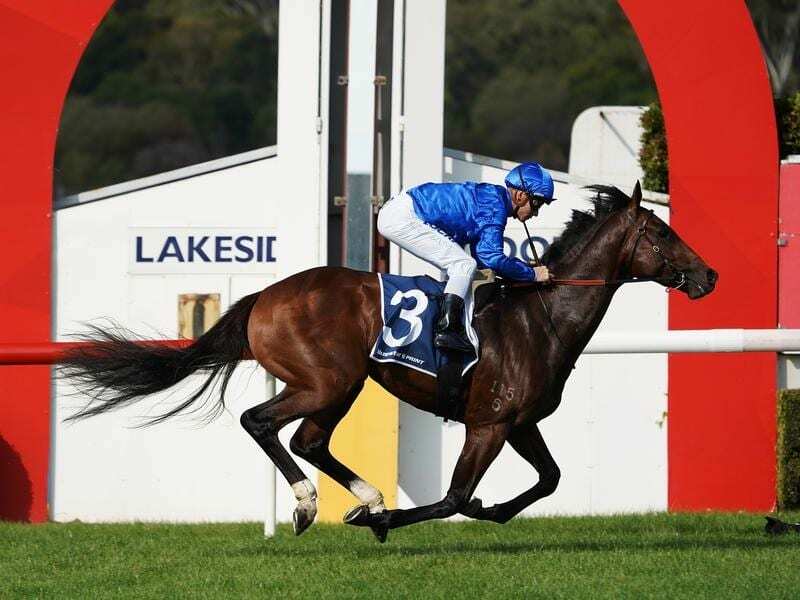 While the majority of the Godolphin stock are trained by James Cummings, Freedman has this season won the Group One Blue Diamond Stakes with Lyre who lines up in Saturday’s Golden Slipper at Rosehill. Freedman has Group One aspirations with Wednesday’s impressive Sandown winner Chenier, eyeing off the Champagne Stakes at Randwick on April 20. Chenier, the $1.80 favourite, registered a 5-1/2 length debut win in the Blue Star Print Plate with Freedman saying the colt has come a long way in a short time. “He’s only had seven weeks work and normally he’d have another trial but he seems to have very good ability and great natural fitness,” Freedman said. “He had a private trial at Pinecliff which was with one or two other horses and he had a trial last week and he trialled better than I thought he should have on the tight inside grass at Mornington. Freedman said Chenier was likely to return to Sandown on April 3 for a 1400m two-year-old race before making his way to Sydney for the Champagne Stakes. Freedman is thinking the colt could be a Derby contender. He is out of Zydeco, a filly Freedman trained to win the Wakeful Stakes before running second to Dear Demi in the 2012 VRC Oaks. “It’s not unrealistic to think that he could be a Derby horse,” Freedman said. Jockey Ben Melham said Chenier had the race in his keeping a long way out.